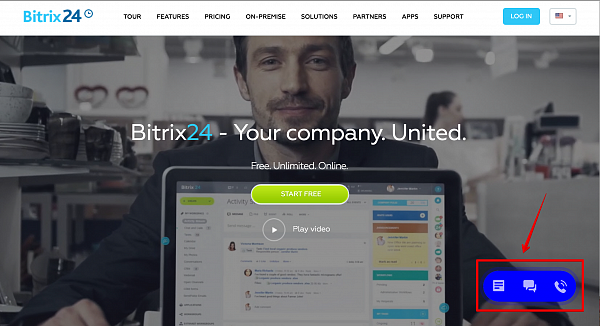 New Bitrix24 website widget offers 3 new options: online chat, web form & callback form. Callback is a special preset web form that your website visitors can fill to request a callback form your team. It can be found under CRM > CRM forms > Preset forms > Callback form. Please use the callback web form settings page to configure fields names, default client messages and tab names. Navigate to post-submit action settings to add customized form submission messages. The “phone” field in the callback form is associated with phone filed in Bitrix24 leads. 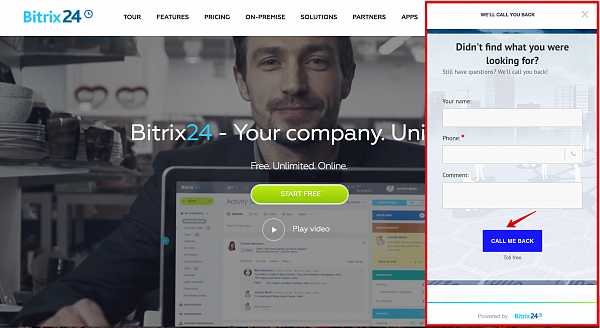 This means that all new phone numbers submitted via this callback form will be automatically added to your Bitrix24 CRM as new leads. 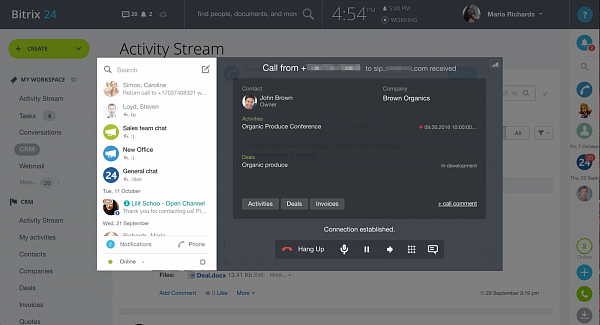 If the phone number submitted via callback form already exists in your CRM – a new lead won’t be created – and a callback activity will be assigned to the user responsible for the identified client. 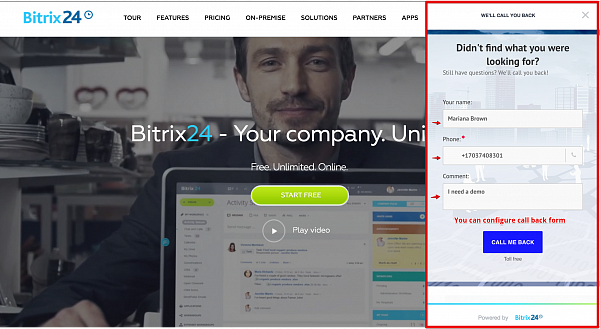 Phone number from which the callback action will be performed – is your phone number connected in Bitrix24 Telephony section (rented number or connected PBX). If you have several phone numbers configured please choose which one will be used for the callbacks. *Call routing should be configured in Telephony > Phone numbers. Additionally, you can set a text message that will be played to a responsible person before the call (callback web form settings). Sales manager’s answer on this call – is a callback to your client – please note that this is an outgoing call you will be charged for. 2. Your sales manager receives an incoming call marked as “Callback call”. If the sales manager doesn’t pick up the call, it will be redirected to other managers configured in phone number settings “queue”. 3. When the sales manager picks up the call – an outgoing call is made to your client. 4. All filled callback forms are added to Bitrix24 leads automatically. 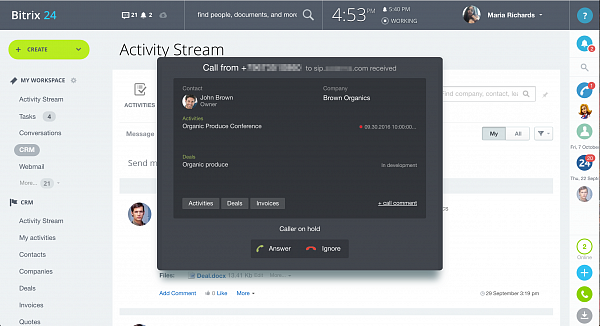 Callback form is based on Bitrix24 CRM web forms.